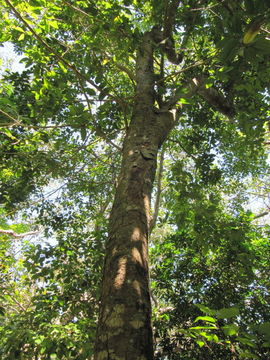 Breadnut is famous with many names such as the Maya nut, Ramon. 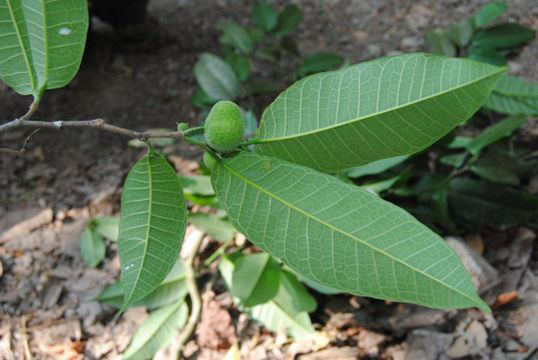 Its scientific name is Brosimum Alicastrum and is a tree species in the Moraceae family of flowering plants whose other genera include figs and mulberries. The plant is native to Papua New Guinea and possibly the Moluccas (Indonesia) and the Philippines and is also produced in surrounding countries. The humid lowland tropical forests which experience heavy rainfall are the suitable type for its growth. The plant is known by a range of names in indigenous Mesoamerican and other languages, including Maya nut, Snakewood, Ramon, Ojoche, Ujushte, Ramon tree, Breadnut, Janita, Muiratinga, Guamaro, Berba, Cacique, Nuez de pan, Castana, Kamansi, mei kakano, chataigne, katahar, dulugian, kolo, pakau, ugod,kelur, kulor, kulur, kuror and pana de pepitas. It has many advantages because of the contents of folic acid, zinc and B vitamins in the high levels. It’s richly filled with antioxidants and has a low glycemic index. It is utilized as a vegetable in soups and normally eaten at a growing stage. Despite the name, it’s not a nut at all but rather a fruit. 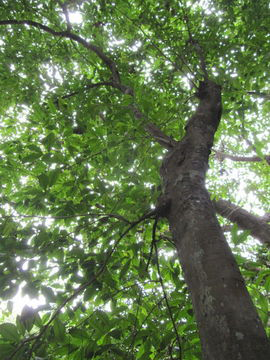 Breadnut is a large, evergreen tropical tree that grows about 20-25 m in height and trunk to 50-90 cm DBH, but it can grow to a height of up to 35-40 m and 150 cm DBH. The trunk is straight with typically well-developed buttresses. Upswept branches form a rounded or pyramid shaped crown. The tree has rough, blackish-gray colored bark, frequently with large, square scales. 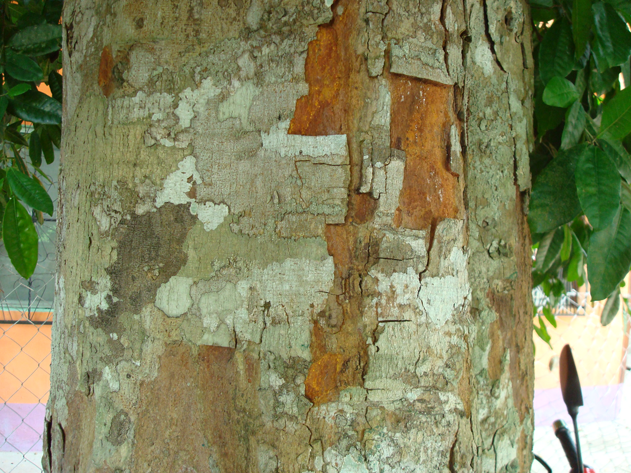 Internal bark displays a sticky, rosy colored sap or latex when in contact with air. Breadnut tree bears alternate leaves that are large and measure anything between 40 cm and 60 cm in length. Leaves are normally dissected having four to six pairs of lobes in addition to sinuses that are cut almost to the middle of the midrib. New leaves on relatively younger trees may often be 76 cm long or sometimes even longer. Leaves are compactly pubescent and have several white-hued or reddish white hairs on their upper as well as lower veins, under surface as well as petiole. Blade of the breadnut tree has a pale green hue with greenish veins. Bud is enclosed by two large green-hued stipules, whose color changes to yellow prior to dehiscing. 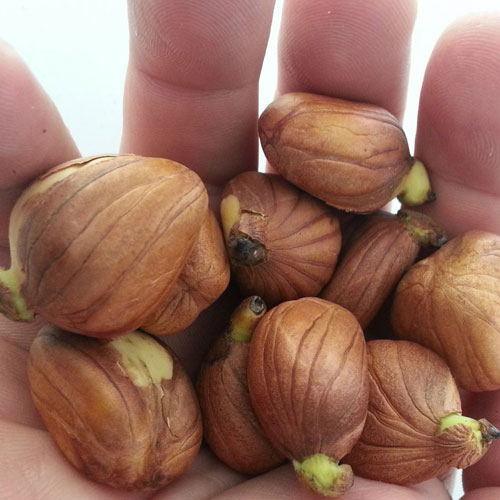 Flowers of breadnut are monoecious in nature and they appear at the terminal of the branches. The male inflorescence appears first followed by the female inflorescence. Male flowers are shaped like clubs and measure a maximum of 3 cm across, while they may be anything between 25 cm and 35 cm in length or sometimes even longer. On the other hand, the female inflorescence comprises a large number of reduced flowers (anything between 1500 and 2000) that are attached to a soft sponge-like core. Different from the flowers of the breadfruit tree, the inflorescences of the breadnut tree are free and do not fuse all along their length. Fruits of breadnut are large syncarp that is very fleshy. They have an oval or ovoid shape and measure about 10-15 cm long by 7-12 cm wide and each fruit weighs roughly 800 grams. The color of the fruit’s skin may vary from pale green to greenish-yellow when they are ripe. Texture of these fruits is somewhat spiny that is attributed to the long, pointed, flexible tips of the plant’s flowers. Pulp of the fruit is scanty and its hue changes of yellow-whitish when ripened. They have a sweet flavor and aroma when ripe. 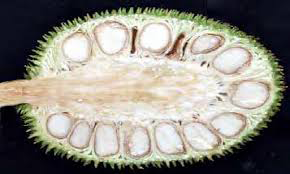 Each breadnut fruit encloses about 12 to 150 seeds that may be flattened or rounded. Seeds are thin and measure roughly 2.5 cm in length. External seed coat has a pale brown color and is ornate with darker veins. Each seed weight anything between 7 grams to 10 grams and make up about 30 percent to 50 percent of the total weight of the fruit. Its seeds and leaves may be used for food and forage, and several medicines and beverages can be made from parts of the tree. Histidine property noticed in Breadnut acquired the effecting pain relieving qualities upon which are essential in healing rheumatoid arthritis. Its potency has been supported by various researches which detect it exceedingly beneficial in reducing the allergic symptoms in the prophylaxis of low RBC and Hemoglobin levels in the blood. Dietary fiber found in breadnut helps to empty the toxic property from the intestine, helping in the rightful working of the bowel and intestines. It avoids metabolism-related illness such as heartburn, acidity, ulcer and gastritis, destroying toxic substances from the gut. 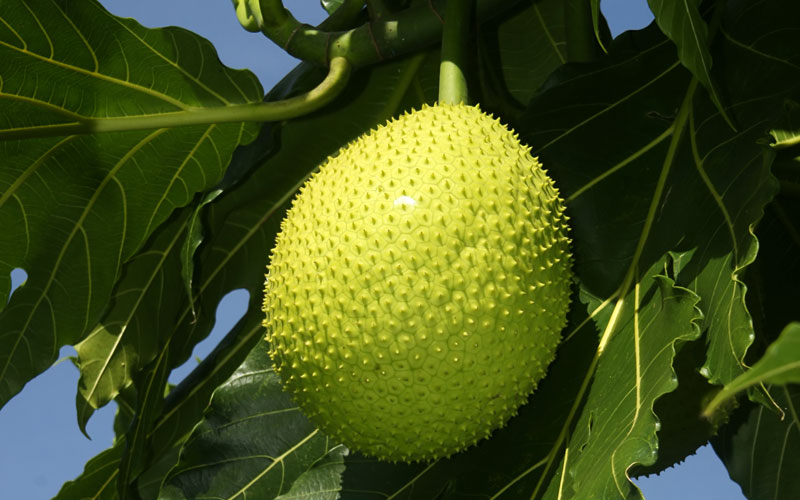 Breadfruit guards the colon’s mucous network by siphoning off cancer-inducing chemicals from the colon tract. 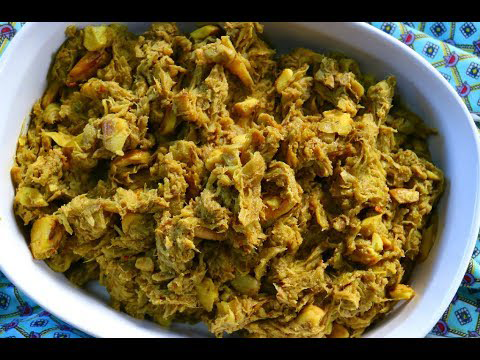 Breadfruit consists of abundance volume of antioxidants, which aids the body to grow fighting towards infections viral activity. It also destroys dangerous free radicals from the body that contributed to aging and other age-related illness. Breadnut consists of good amount of Histidine which is quite supporting for loosening of the blood veins, in effect has been trusted to reduce the greater chance of heart disorders. 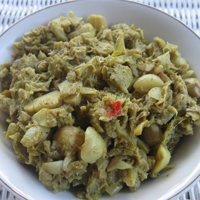 Breadfruit also consists of potassium. This heart-effective nutrition helps to lowers blood flows in the body and control the heart beat by lowering the risk of sodium. It offers electrical impulse that permeates muscular contraction in the skeletal network such as the heart. Dietary fiber in breadnut delays the digestion of glucose from the meal we consumed, thus regulating diabetes. It also consists of substances, which are necessary for pancreas for assimilating insulin in the body. Breadnut is also high in manganese, another important micronutrient that is very advantageous for the human body, though needed in reduce volume. Manganese has shown and detected its ability in the regulating of the blood glucose levels in the body. Manganese increases the normal working of the pancreas, by increasing normal and acquired injection of insulin to regulate and de-assimilate sugar in the body. Fruit’s consists of high amount of magnesium that helps to promote the function of calcium to grow and enhance bones. Research has proven that those who consume foods rich in potassium and magnesium have larger bone density detection and healthy bones related to those who didn’t. Consuming boiled breadnut can aid to alleviate a toothache. Spreading mashed breadnut on the tongue can also heal gum infections. As mentioned before the fruit consists of good amount of histidine. This amino acid functioned greatly for the sexual enhancement. Obtaining it from a native source like breadnut happens to be richly advantageous than the laboratory produced amino acids. Consuming it on a periodical basis aids alleviate some of your sexual worries. Latex of the breadnut tree can be spread evenly on skin surfaces suffering from skin diseases like eczema, psoriasis, and inflammation. 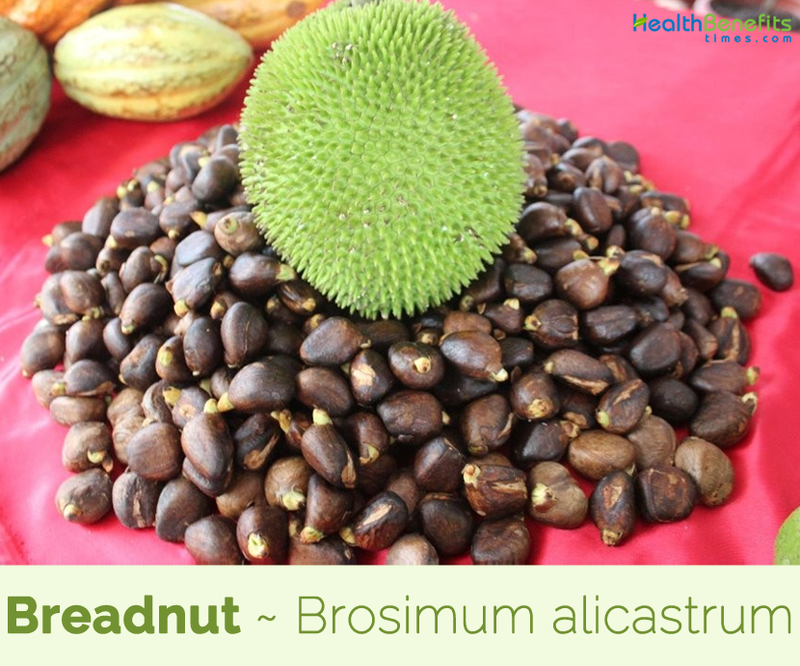 Breadnut consists of good amount of Vitamin-C, a native antioxidant which heals patients out of injury. It aids to develop the body immune system with the assistance of ascorbic acid which is its important nutritional substances. It attacks back the virus until it eliminating it off and thus, it regulates the immunity levels to achieve a better working. Fresh breadnut essence may aid to lowered unnecessary inflammation. It delays the growth of pro-inflammatory enzymes and avoids the large production of nitric oxides, thus avoiding unnecessary inflammation. Breadnut is a great origin of omega 3 and omega 6 fatty acids, which natively moist the hair, lowering hair break down. Fatty acids noticed in breadnut control the substances process in the scalp, lowering dandruff and allergic. It also hinders scalp infections and cell death, avoiding hair loss. The fruit also consist of good amount of calcium, a mineral which is not only advantageous to bones but also performs an active involvement in blood clotting. Include it in your diet for beneficial outcomes. 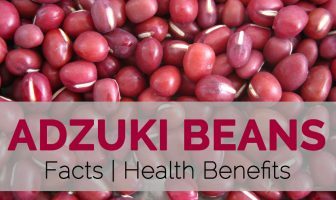 Consuming this beneficial fruit can assist to add the iron supplement in the body to avoids the infrequent blood illness namely anemia. There is a belief in Yucatan that if the seeds are eaten by nursing women the flow of milk is increased. Latex is mixed with water, warmed and drunk as a treatment for dry coughs and for itchy sore throat. Latex is applied directly on sores in the mouth and other parts of the body for healing. 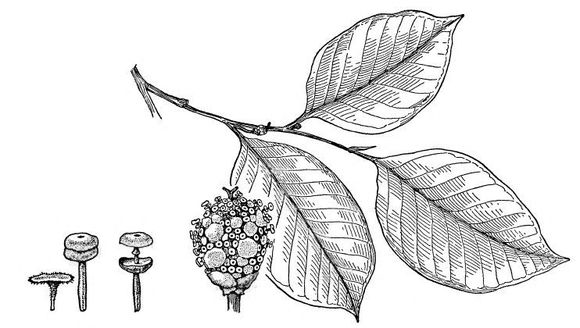 Fruits, leaves, latex and bark of B. alicastrum are all used pharmaceutically in various parts of Mexico. Leaf infusions are used as cough suppressants and in the treatment of Kidney ailments. Diluted latex is used to aid the extraction of teeth. Tonic made from bark is also used to treat chest pains and asthma. It is also useful in reducing allergic reactions, especially in the prophylaxis of low red blood cells (erythrocytes) as well as the hemoglobin levels in the blood. Sap of this tree is used to cure asthma and anemia in Central American and South American countries. Raw seed has some bitterness, whilst the roasted seed develops a nutty, cacao-like flavor. Seed can also be boiled and mashed like potatoes, or made into juice and marmalade. Ground up seeds can be made into a mash to mix with corn when making tortillas. When steeped in water, the seeds make a coffee-like beverage. Milky latex, which flows freely when the trunk is cut, resembles cream and when diluted with water is said to afford a substitute for cow’s milk. Latex is also mixed with chicle. In many instances seeds were boiled, mashed and eaten as a substitute for root crops. Dessert was also made by combining the ground seeds with honey. Ground seeds can also be added to cold milk along with sugar to prepare a nutritious milk shake. It is reported that the cream like latex can be mixed with water and used as a satisfactory milk substitute. Flesh and seeds of the breadnut are often made into a curry and cooked with coconut milk. Normally, people eat the fruit when it is still unripe. They cut the fruits into thin slices and boil them in soups. Good forage plant for domestic animals. Leaves and branches cut for fodder for horses and mules. Latex is obtained from the stems. It is sometimes mixed with chicle to make chewing gum. Heartwood is a yellowish to dark brown, tinged with red around knots and other defects; the thick band of sapwood is yellowish to nearly white. Wood is hard, heavy, very strong, tough, not very durable, being particularly vulnerable to insect attack. Wood is used for general construction, carpentry, flooring, furniture, cabinet making etc. Its wood is important in a variety of local uses, such as in interior carpentry and construction, and simple furniture, particleboard, plywood, forms, lasts, saddles, tools, and sports equipment. Wood is also used for firewood and charcoal. Fruit yield range from 50-75 kg/tree. Wood is also used for fuel by many rural Mexicans. It is planted as an ornamental plant around the home. It is used in Southern Veracruz as a living fence and in several areas as a shade tree in coffee plantations. Tree produces up to 800 fruits a year! When the stocks of maize run low, the Mayan people use the seeds of this plant to make their native bread. Rub a bit of oil on your hands. This will prevent your hands from getting sticky. Peel the thick outer skin. Cut into quarters and remove the heart. Separate the seeds from the flesh. When you’re separating the seeds try to leave the flesh intact. This will make chopping it finely much easier. Remove the skin from the seed. Mix the curry, masala, green seasoning, geera, and turmeric with 4 tbsp of water. Heat oil and saute garlic, pimento peppers and onion. Add the curry mixture and allow reducing to an almost sticky paste. Coat evenly with the curry and add salt to taste. Mix the coconut powder in 1 cup of water. Add to chataigne and simmer for 1 minute. Pressure cook for 6 – 8 minutes. The dish is ready. Leaf Simple, alternate leaves 5-17 cm in length with sharp apex and smooth margin with thick petiole and pointed stipules. The upper surface is a dark, lustrous green; and the under surface a pale, opaque green; both surfaces glabrous. Seed Thin, flattened or rounded and measure roughly 2.5 cm in length. The external seed coat has a pale brown color and is ornate with darker veins. Urostigma fagineum (Kunth & C.D. Bouché) Miq. Calories 587 K cal. Calories from Fat 24.21 K cal. Calories 62 K cal. Calories from Fat 2.52 K cal.